I remember reading a comment a while back on instagram from a follower, something along the lines of ” New Yorkers have such a knack for making small spaces their own.” I’m not entirely sure if that’s exactly what she said, but I think it’s close. I also think she was pretty spot on. I’m not saying that people who live outside of the city don’t have an eye for making a small space functional and beautiful, on the contrary. Anyone who decides to move in a smaller space can dream and design beyond it. As a born and bred New Yorker, I do know from first hand experience, that we can pretty much work with any space; an apartment is what you make it. For us, there is not future apartment, or house with a fence and a yard in the foreseeable future. Our home is in this apartment, in this historic and beautiful neighborhood, and in this building where we feel as if our kids are being raised amongst family. (Even though I already have tons of family that live close by as well.) So this home, it’s going to be ever changing as long as our landlords and our creativity allows us to be, I like it like that. 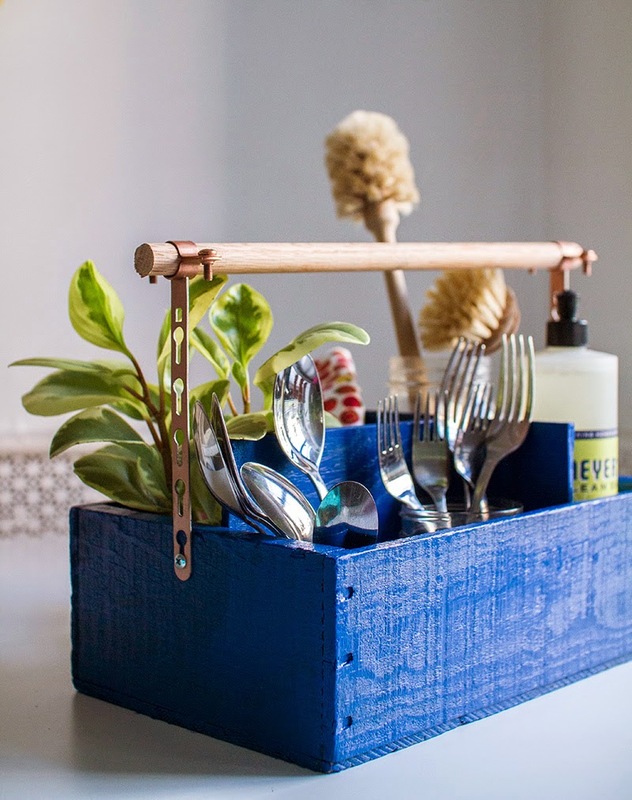 I created this DIY Utensil Organizer using an old wooden milk box, purchased at our local flea. 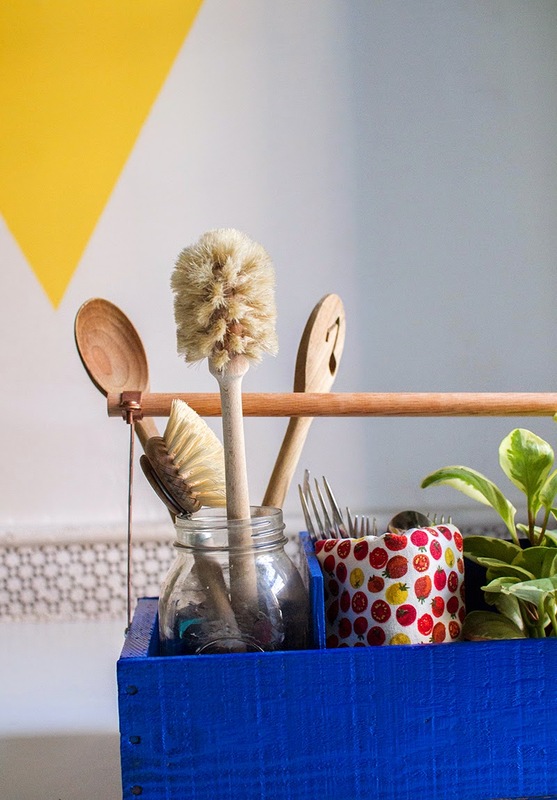 Currently, we are using it in our kitchen to organize a few things, and to help tote plants back and forth to our porch as we get ready to clean it up a bit. It was so easy to make, and I feel as though it can be used for a multitude of things. You can read the full tutorial on A Beautiful Mess.